First of all, I got the eyebrow mousse in the colour auburn - which is a medium brown shade and doesn't give off much of a red tone so it was perfect for my hair colour, the dark brown was too dark and the others too light, so this turned out the perfect medium brown shade! I've always stayed clear of eyebrow mousse because of the wand applicator, I like a defined shape and always thought this wouldn't do that for me! But when I tried it I couldn't believe what I had been missing out on! 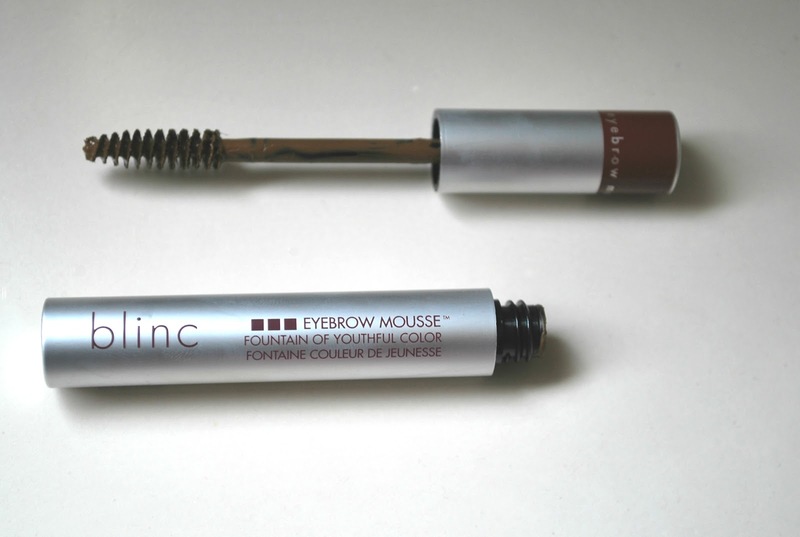 I use an eyebrow pencil underneath to outline my shape, as my brows are very fair! Then finish filling them in with this product and it covers gaps and scars in the eyebrow, making them look thicker, fuller and the perfect shape. Honestly, first try... I was so impressed! The best thing about this is that it's waterproof and semi-permanent lasting up to three days. Perfect for holidays or if you just don't have time to apply everyday! It is removed by water (probably thinking what? Semi- permanent, waterproof BUT comes off with water - what? I know!) but all the need to do is get a cotton pad soak it in water and rub the product away and it does take a little while - even use a little eye remover! So it won't come off but just getting them slightly wet without really removing it with a cotton pad. The only little thing I would change would be to make the applicator a little smaller for precision but considering I am not used to this formula it works great for me just, be careful to not have too much product on the brush and use gentle strokes! 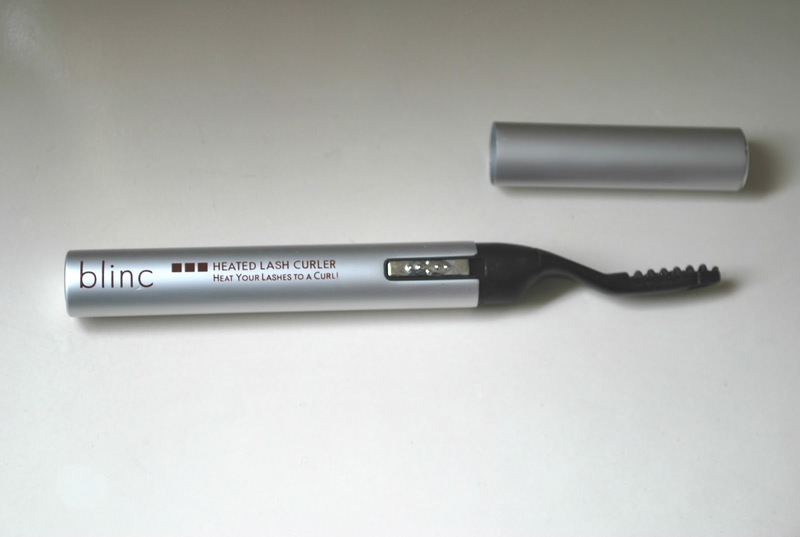 Then we have the heated eyelash curler! First of all I'm one for not using normal eyelash curlers I can never get it right and I am always afraid it's going to nip my eye lid - I can't deal with that! haha. So this was perfect for me and being battery operated means it's going to last you a long time. A light on the back of the product turns from red to yellow to tell you its heated and ready to use and you just brush the comb through your lashes like you would a mascara and the results are incredible! There is a guard so it won't get to hot close to the eye, it just feels like a warm sensation on the lashes. I use it before my mascara and then once applied and the difference it makes to the length of my lashes is crazy! 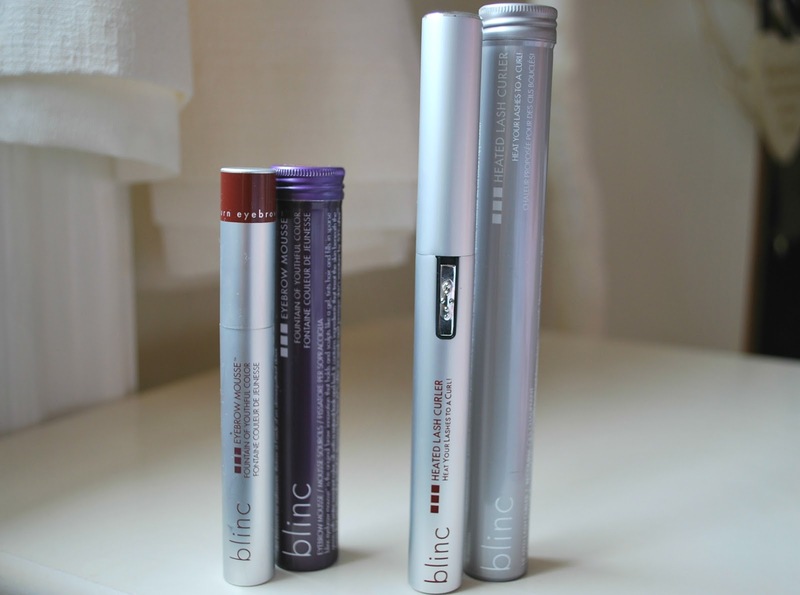 The first time I used it my mascara hit my brow bone and I had to remove the product - that never happens! 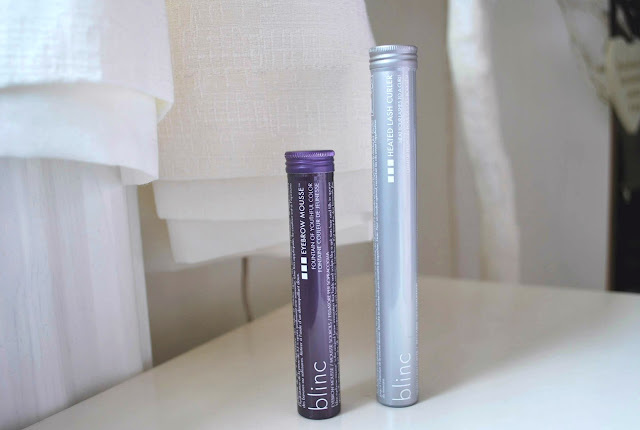 I had to do a blog post telling you about these two products, not very often I find products that I can't find faults in and they do just as they say! They are two which I know will be in my makeup bag for a very long time - they are so easy to use and the results have been great and visibly noticeable. Since I have been introduced to Blinc I want to try so much more from there collection, in particular the mascara and ultra thin liner - they look amazing!